Our concept is simple and something craft beer drinkers have needed in Nola for a long time... a cool place to explore the world of craft beer with other beer nerds and enthusiast. We started by building the best selection of craft beer under one roof. Then, we added 14 tap handles so that beer lovers can enjoy great craft beer in our taproom, fill growlers, or simply drink a pint while you shop. Finally, we decided that it’s time to change the way people buy beer. That's why we offer every craft beer as a single. Our entire store is Mix & Match. Our job is to sell you great beer, not tell you how to buy beer. Top it off with some cool merchandise and an amazing staff (toot-horn now)... get ready to explore the New Orleans's beer culture as it begins to explode. So when you get here, be sure to explore, drink, talk, and oogle over great craft beers.... but most importantly just have fun! Because that's what we are all about. Cheers! We are proud to be part of Tulane Avenue's come back and to join the Mid City neighborhood. Our parking lot is accessible from Tulane Avenue, Ulloa St and S. Pierce, Additional parking is available in our marked secondary across Ulloa St. The store has two entrances. Front entrance from Tulane Ave and a rear entrance accessible from the parking lot for your convenience. Just look for the white 504 Craft Beer Reserve logo on the rear entrance door! All of our bottles and cans are priced and sold as individuals so that you can buy beer the way you want to buy it. It's about buying the right beer in the right quantity for your needs. But we never discourage you from buying a 12-pack or 5 cases of any beer. Special orders also welcomed... just ask. 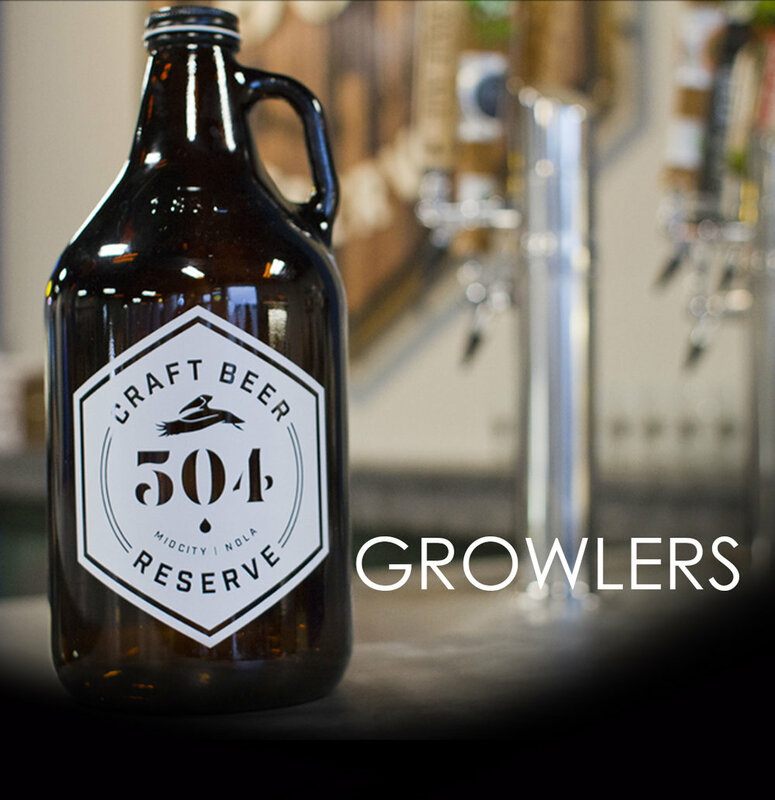 Growlers are 64oz whiskey jugs ready to be filled with fresh craft beer straight from the brewery to your fridge. 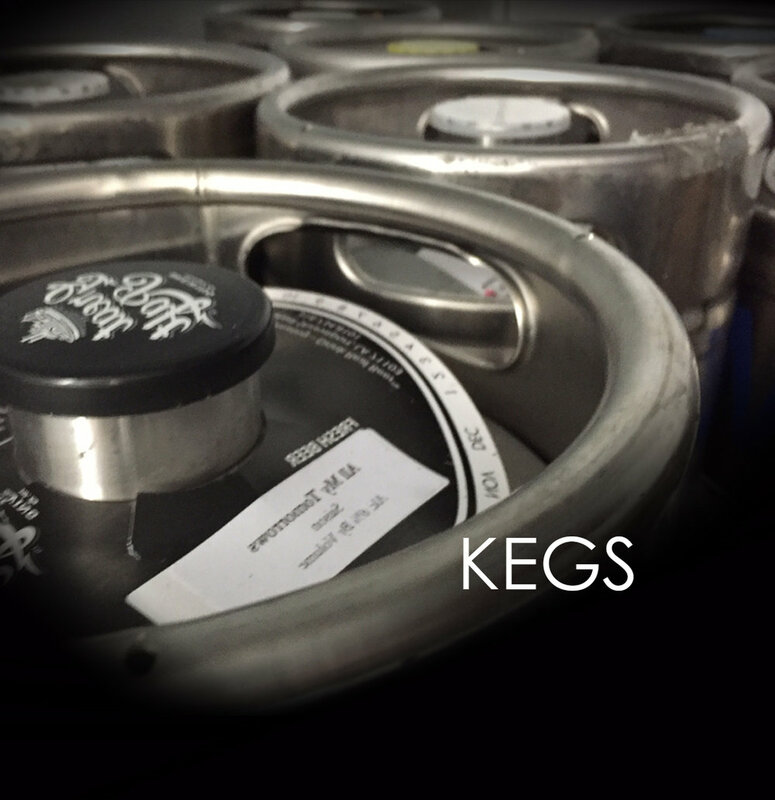 We have 14 rotating tap handles that offer a variety in style and cost. Come hang out at the best craft beer bottle shop & taproom in Nola, have some pours or a flight, and take home a growler of your favorite brew.